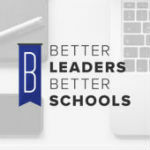 Welcome to the Better Leaders Better Schools podcast. This is a weekly show is for ruckus makers -- What is a ruckus maker? A leader who has found freedom from the status quo. A leader looking to escape the old routine. A leader who never, ever gives up. Up next you can hear Daniel Bauer’s interview with his friend Jennifer Abrams. She’s been on the show three times and has a new book out called Swimming in the Deep End. This book helps leaders escape the old routine. Keep listening and you’ll learn how to drive change and break from tradition in today’s podcast. Jennifer Abrams, a former English teacher and new teacher coach, is currently a communications consultant who works with educators and others on new employee support, being generationally savvy, effective collaboration skills, having hard conversations and creating identity safe workplaces. Jennifer’s publications include Having Hard Conversations, The Multigenerational Workplace: Communicate, Collaborate & Create Community and Hard Conversations Unpacked - the Whos, Whens and What Ifs. Her new book Swimming in the Deep End: Four Foundational Skills for Leading Successful School Initiatives which released March 29th. Jennifer does not want anyone to feel like they are drowning when they initiate change. She wants you to build up your ability to swim in the deep end. You may not be able to start in the shallows because an initiative has to happen now and there is an urgency for students. But you can work with someone or put on floaties to get to the deep end and while you are working in the deep end. Jennifer talks about the 4 foundational skills of how to make change. How can we understand resistance - don’t mock the concern for change? Jennifer thinks that understanding others is a practical way to start to make change. Consider if people will push back and say they need more knowledge when you roll things out for the first time. Ask yourself what is the purpose, who is going to help me, and are they credible, will I be trained, and how does this connect to the culture I signed up for. People may be more willing to jump into the deep end if these are answered. Jennifer encourages everyone to take a half a day with those people that will be in the deep end with you and craft the message that you are all on the same boat it is well worth it. Get out of your office and take 3 hours and put energy into it so the message is consistent. Unifying is worth your time.